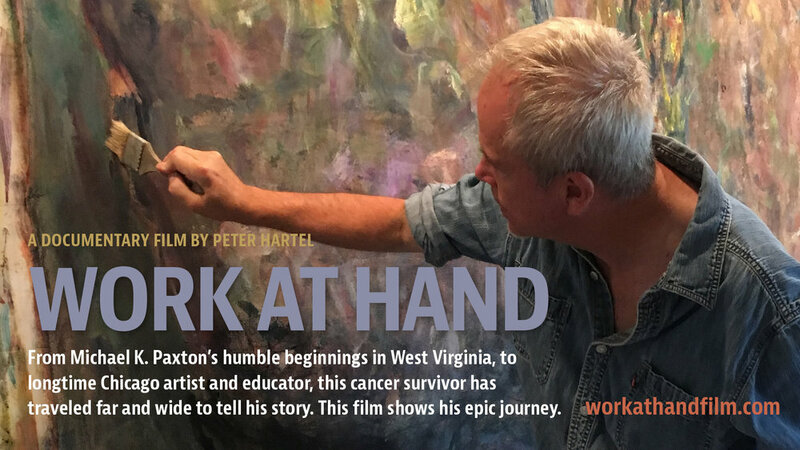 Work at Hand will be screened April 25, 2019 at the the event After Dark Film and Artist Talk presented by the Peninsula Fine Art Center (Pfac) in Newport News, Virginia. After the screening an Artist Talk will be presented by Michael K. Paxton. This event was organized by Lee Matney of the Linda Matney Gallery and Diana Blanchard, Curator of the Art Center. Michael K. Paxton was a Visiting Artist for the day with both a screening of "Work at Hand” and also meeting with the painting students at the American Academy of Art in Chicago, Monday February 25, 2019. A big Thanks to Robert Drea for setting this all up and Chris Cosnowski and his class.